With mind-blowing site features to help you stand out from the crowd! Your website is almost always your client’s first impression of your business. Today, mobile-only internet usage is becoming more popular, especially by Millennials who make up 21-percent of these people. Our sites function and look great on every device out there. Did you know that smartphone usage is up 394-percent according to Comscore? We customize your site’s design to your customer’s demographic. Want video? Huge images? We’ll take care of it. We make you look fantastic! Responsiveness refers to a website design approach that keeps an eye toward providing an optimal viewing experience across a range of devices ranging from desktop browsers to tablets to smartphones. More specifically, it concerns itself with easy reading, image re-sizing, and maintaining intuitive navigation across those devices. Google uses “mobile-friendliness” as a ranking signal. 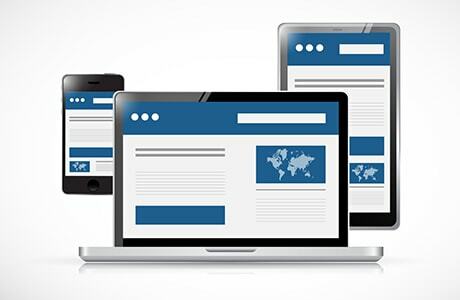 This means that non-responsive sites rarely rank as high as ones that are responsive. Whether you’re looking for an ultra-contemporary one-page site or a more traditional multi-page site that search engines love, we’re an excellent choice. 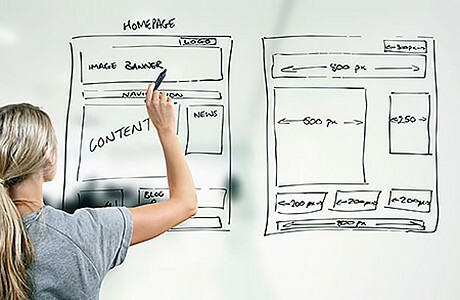 The first step in your site’s project is to determine whether an HTML or CMS site is best for you. Next, we research our database of template selections with suggestions for modifications to fit your needs. We’ll set up your domain name and web hosting if you need us to. We even create a Coming Soon page if applicable to the site. We incorporate a responsive wireframe into your website design. Then we create an SEO-optimized URL structure for unique pages you determine to be most important for your business. This is when we’ll work with you to begin to add actual content to your site; everything from text to images to video. We can provide features such as responsive image sliders and social media icons on any page of your site. We strongly suggest a call-to-action on your site to capture potential customer data that you can follow up on to increase sales. Throughout the entire process we’re keeping your site’s SEO friendliness topmost on our priority list. Finally, we create a backup of your site’s files for your permanent storage. We’ll install an intuitive back-end dashboard to make it easy for you to change content on your website. Our service always includes 30 days of support after completion so you’re never left alone as you’re getting to know your new site. 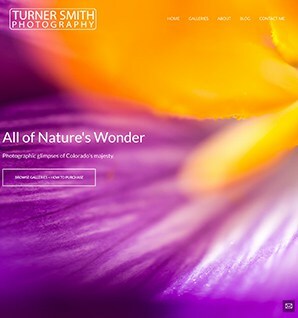 Turner Smith photographs the spectacular scenery that is the Rocky Mountains in his home State of Colorado. It was important for his work to be large an impactful. 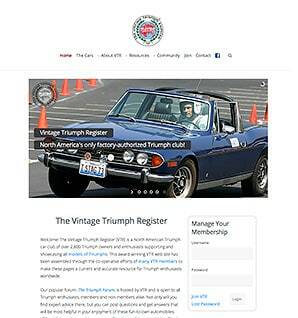 A 2,700-member International car club for vintage Triumph sportscar enthusiasts. With a diverse age demographic as members, they needed an ultra-intuitive site with clear, easy to understand navigation. We delivered! Vanie operates in the uber-competitive actors-headshot segment of photography. Her site is bright, inviting, and packed with useful information. Her call to action helps to cultivate a marketing list of potential clients! Tom is a talented New York based fashion photographer who shoots for lifestyle magazines. Page load speed and the ability to view many images quickly were important considerations in selecting his site design. 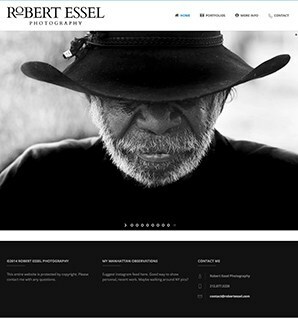 Robert is a New York based photographer eager to refresh his brand. An integral part of that brand-building is a website. Working closely with his marketing consultant we created a modern, responsive site. 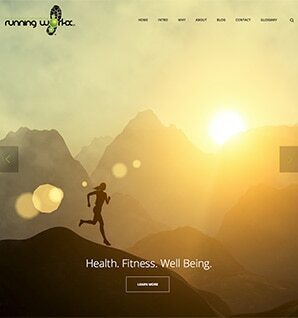 Mike McKnight’s company specializes in comprehensive online coaching for athletes, specifically runners. 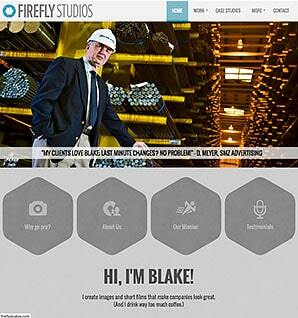 His site features an impactful opening image slider providing inspiration to potential clients. Sure, it’s my own site so I’m really bragging! 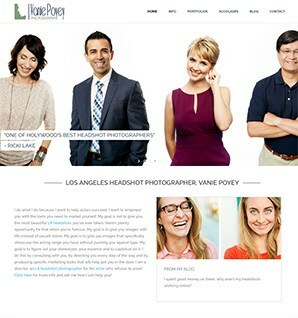 The site is responsive, features clean design and large images. It makes an impact in the 8-seconds you have to grab a viewer’s attention. Yep, 8-seconds is all you get!